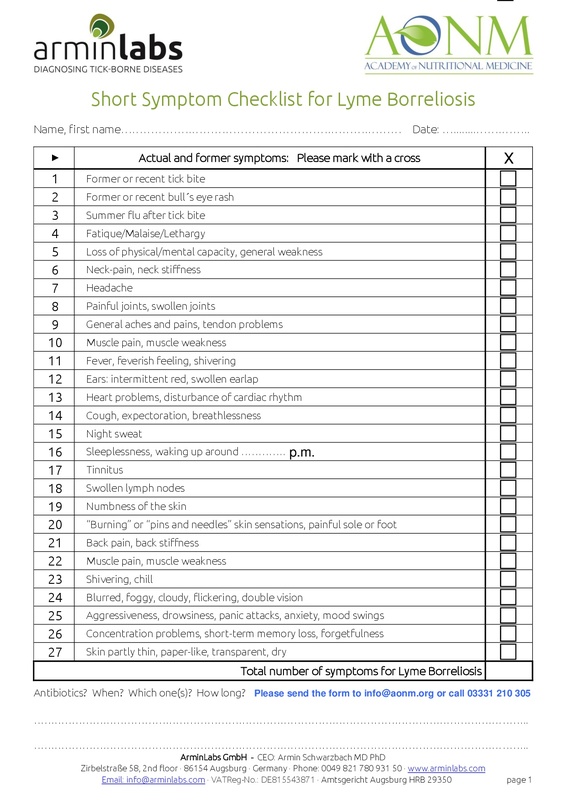 The following checklists are editable forms can be downloaded and filled in directly on your computer or otherwise by hand. Please answer as accurately as possible as your answers will determine which tests we would advise you to take. 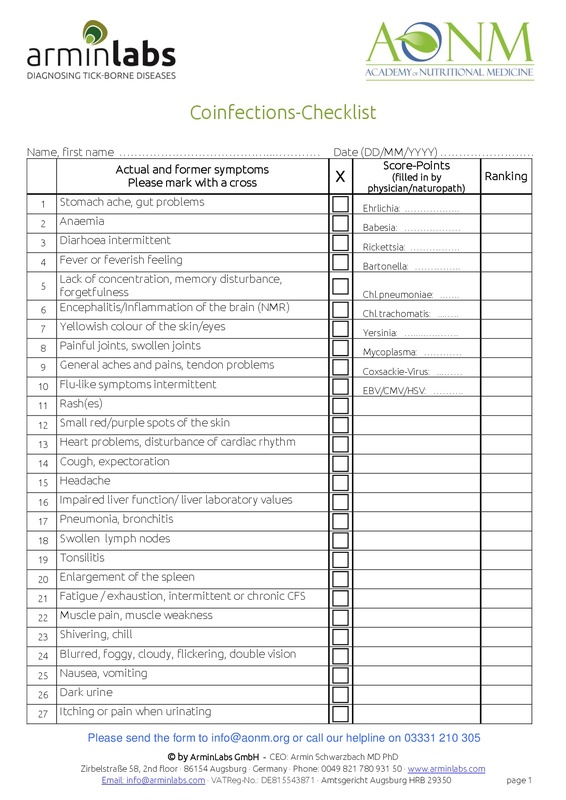 Please send to laboratories@aonm.org for evaluation and feedback on which tests you should order. Our service will help you through this process if needed.